IBPS is the acronym of the Institute of Banking Personnel Selection, it is an autonomous body shaped by NIBM to formulate and implement world class process is selecting skilled personnel for various client organizations. With a motive of “Speed, Accuracy and Confidentiality”, IBPS strives to achieve success through the blend of academic experience and modern technology. Dated back to 1969, when each bank for nationalized, there was a necessity to open multiple branches in order to serve more people with the banking facility. As the banks grew in numbers, there raised a huge necessity for manpower – qualified professionals, to run them. Thus NIBM came up with PSS (Personnel selection service) which was an instant hit that more banks started practicing this method. In 1984, PSS was converted into IBPS. Now, IBPS extends its service to leading Public Sector Banks, SBI, Associate Banks of SBI, RBI, NABARD, SIDBI, few co-operative Banks, LIC and Insurance companies. It also provides its service to Regional Rural Banks, many Public Sector Undertakings of Non-financial sectors, Government Departments, State owned companies and Corporations. Being of such significance, IBPS exam is one of the most taken up exams in India. To appear in IBPS exams, one needs to choose which posting he/she is applying for. There are various IBPS training institutes in Chennai that provide out and out IBPS training. 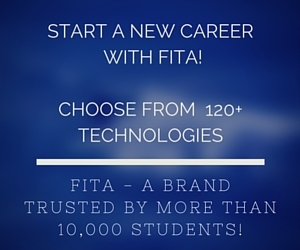 One such IBPS training centre in Chennai is Fita School of banking. Being the pioneers, they provide the best IBPS coaching in Chennai. We are located on 2 prime locations to facilitate our students with IBPS coaching Chennai. Candidates appearing for the IBPS recruitment should hold a university degree and should be of age 20-30. Those who apply for specialist cadre should hold a professional qualification in Law, Accounting, Agriculture, IT or management sector. IBPS reasoning section is a basic part of IBPS CWE it contains logical reasoning questions. Logical Reasoning Syllabus divided into two parts verbal reasoning and non verbal reasoning questions. Check details about the verbal reasoning And Non verbal reasoning. History & Future of Computer Networking etc. Our T Nagar or Velachery office is just few kilometre away from your location. If you need the best IBPS coaching centres in Chennai, driving couple of extra kilometres is worth it!